INDEX FAIRS 2019 will be held on May 1-4 at Bombay Exhibition Centre. 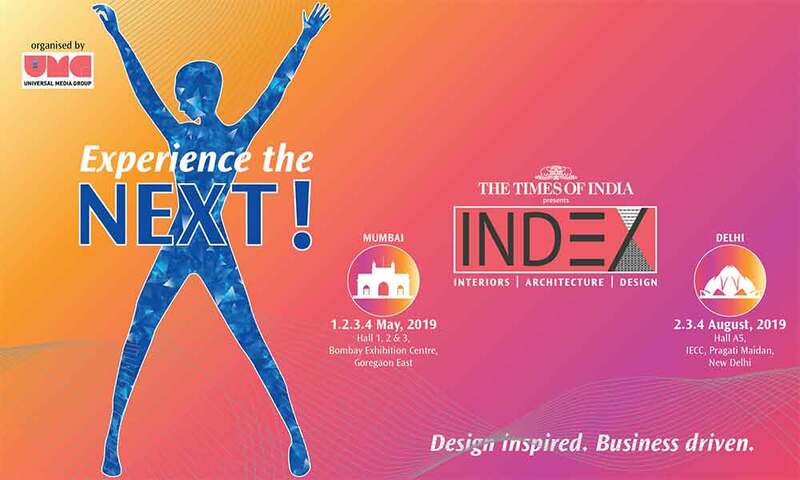 Index is a leading international trade fair, held every year in Mumbai, India, and also the country’s largest focused commercial platform on interiors, architecture, materials and design, which brings together suppliers and buyers in a design atmosphere. A pioneer in its segment, this trade fair will be hosting its 31st edition in Mumbai in 2019. Over the years, Index has evolved with the various sectors of architecture and interior design, observing national players grow in size, watching as international players enter the market, and doing business with both exhibitors and organizers to reach new heights in terms of volume and profits. The 30th edition of Index received overwhelming response with over 30,000 trade, architects, designers, builders and procurement teams from India and overseas attending the event this year.